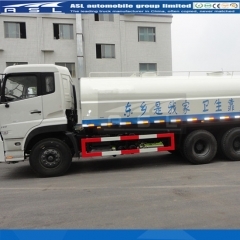 The first time of absorbing water (please read the maintenance manual carefully) byShacman 25CBM Street Sprinkler Trucks should infuse 20kg water into the tank. 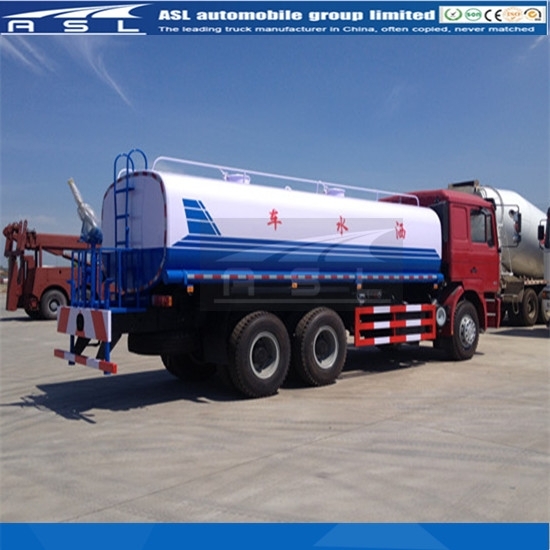 Open the tank cover, connect the tubes and make the power take off on to bring the pump operation. After two minutes, the pump starts absorbing water in order. 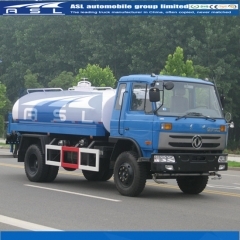 When the water overflows from the rear tube of the tank, it shows it is full. 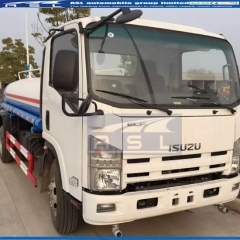 Now you should step the clutch pedal, close the power take off’s switch, and then close the inlet valve, discharge the absorbing tube and lid the cover. The breathing–in course finishes. This working situation makes use of height difference inside the tank to exhaust the water, i.e. flow automatically. 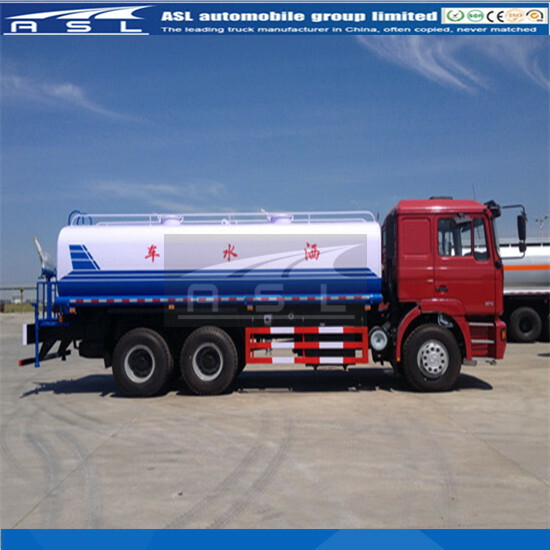 Under this situation, there is no need to start the pump up on Sinotruk HOWO 10wheels Water Lorries. E: When operating the tee valve, the energy should be equal to protect the ball valve’s seal ability; the tee valve on/off switch should be on the regulated placement (see to “valve operation”). 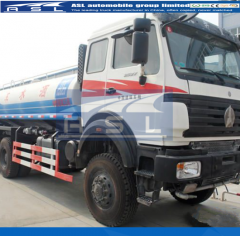 It is forbidden to work under the valve on the wrong placement on Dongfeng Diesel 10000Litres Water Tank Lorries. 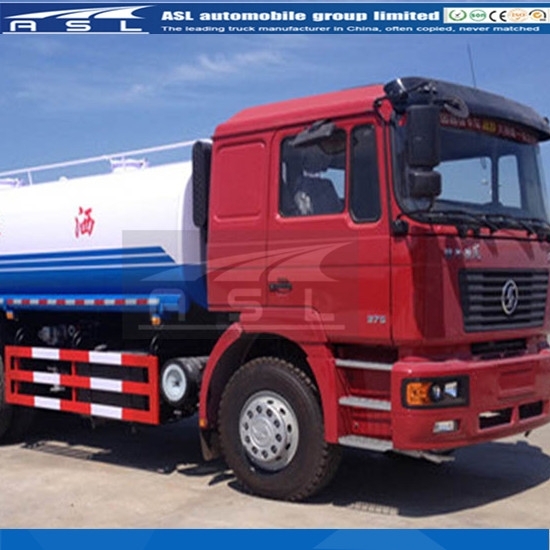 F: The pump, power take off and transmission should be washed, checked and maintain 2015 NEW 25000L Water Tanker Trucks completely every year.